In the Spring of 2017, while in the quest of Taiwanese green teas and oolongs, we paid a visit to a friend of Peter’s, a well-known abbot from Taipei, Taiwan. 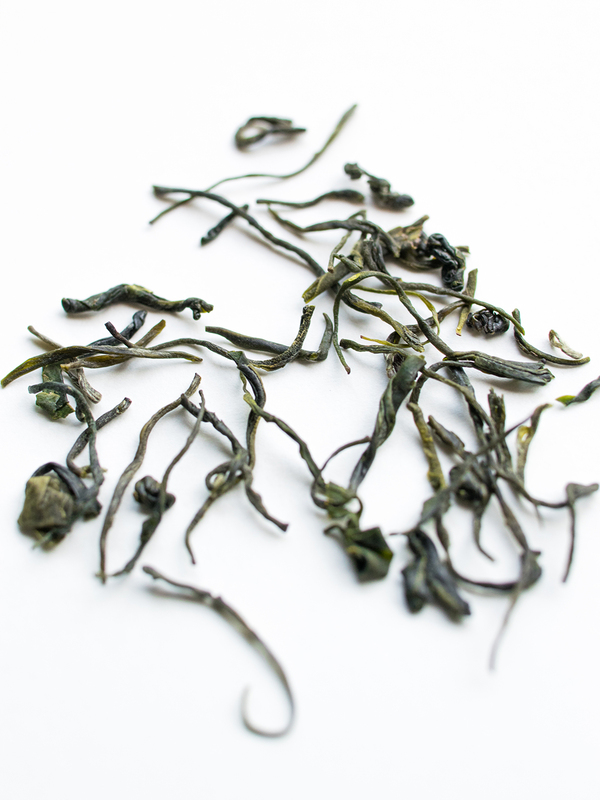 Chatting with him, we were offered a wonderful, lightsome and elegant green tea of superior quality, a Mao Jian. We were thinking how wonderful it would be to bring home a tea like this. Then, all of a sudden, Peter remembered that he had a friend from Xinyang whom we could ask if he had some friends making Mao Jians. Soon we have learned, that this friend did indeed know a great tea farmer, who, up in the mountains at around 1100 meters altitude, has a small, natural farming plantation where he produces green teas. And it just happened so that a few days later a pack of 10 different Mao Jian samples was delivered — what a gripping tasting it was likely to be. Once being home we fixed a date for the tasting. We went trough all the samples and, experiencing the essential differences, finally decided to have not only one, but two of them. We find it most interesting how the two teas resemble to and differ from each other in the same time. 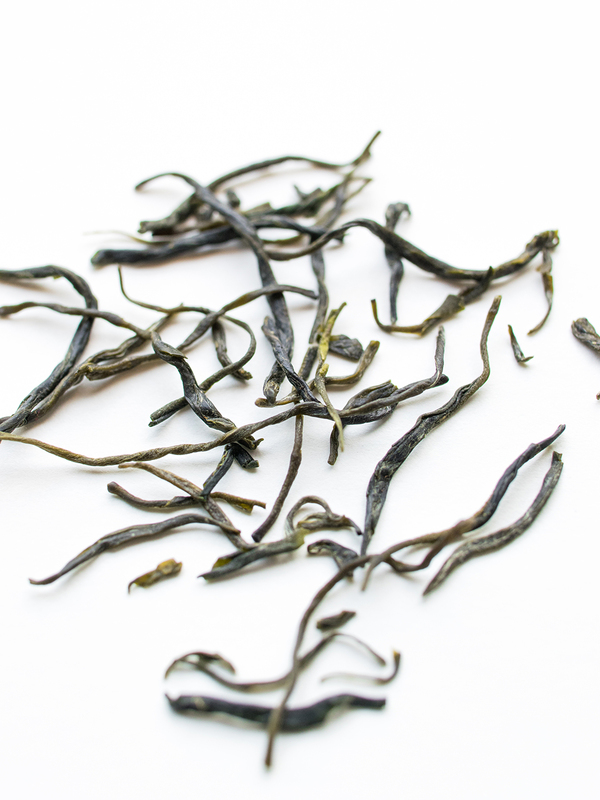 When tasting the two teas together we could clearly tell them apart based on the differences between sea level, harvest time, the size of the tips and leaves. Both teas are full of energy but the first one is little bit stronger than the other, it has sharp edges, and an interesting light sourness in its aftertaste. On the other hand, the ‘Grand’ has a unique elegance whilst maintaining the same energy as its brother, though in a somewhat more refined way; it has a round body and vivid greenness. However different they might be, both have a nice and sharp character with a good, edgy spine due to the chilly mornings and nights amongst the mountains. The name, Xin Yang Mao Jian (信阳毛尖) can be divided into two parts. Xin Yang (信阳), is a city in China’s Henan province that is famous for its high-quality green teas. The latter, Mao Jian (毛尖) means hairy, or fur tip and it refers to the shape of the leaves – when the buds and young leaves are plucked, they are covered with small, whitish hair. Then, due to the way of processing (rolling and pan-frying), it gains straight and delicate edges, and thin and firmly rolled appearance with both ends in a pointed shape. 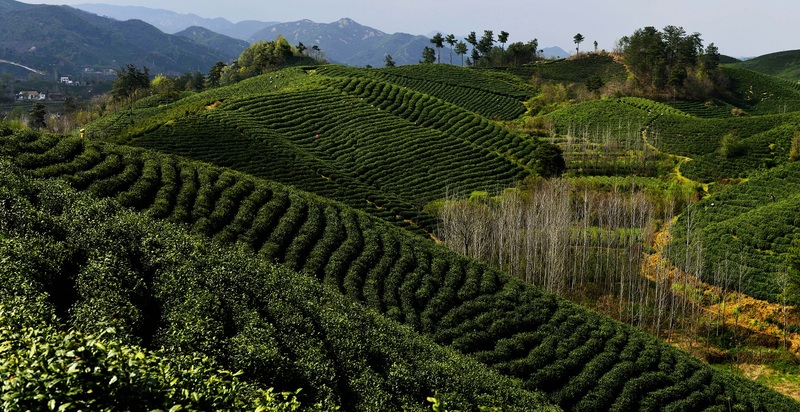 Xin Yang, with its more than 2000 years of tea cultivation, is one of the eldest tea growing areas. The city is located in the southernmost part of Henan Province, on the south bank of the Huai River. It is a place with a mild climate and good conditions for producing tea. Tea plants in Xin Yang are planted at high altitudes where the weather is clearly divided by the four distinct seasons. The area is abundant with forests, clouds and rainfalls and it all contributes to the tea’s unique quality. For learning and tasting purposes now we offer a two-in-one package with 30-30g of both teas with a Tealab discount for experimenting.